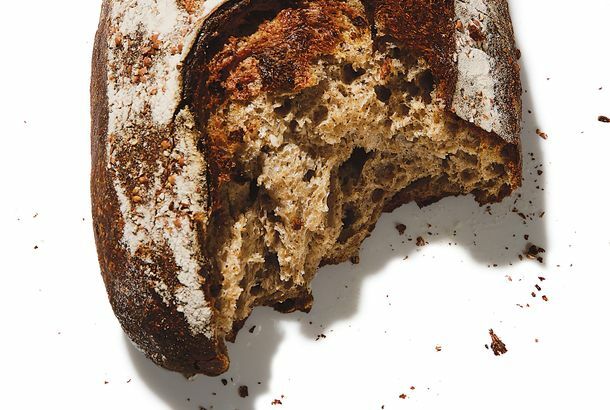 At Last, an Artisanal Bread That Tastes Like Kasha VarnishkesThe Jewish soul-food staple was the inspiration for chef-baker Max Blachman-Gentile’s latest loaf. 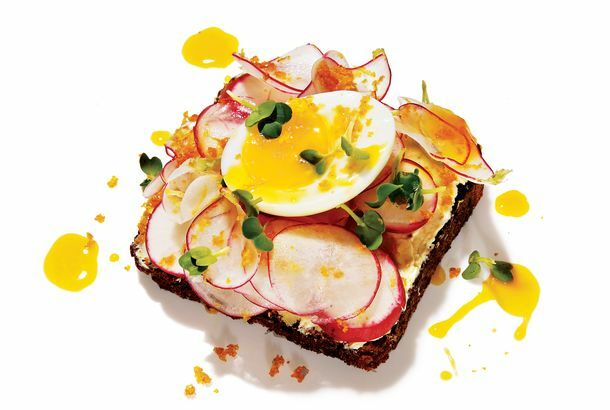 High Street on Hudson’s Radish Tartine Is Spring on a PlateThis collaboration between the restaurant’s new baker Melissa Weller and new chef Mary Attea is all blushing-pink crunch and runny golden yolk. 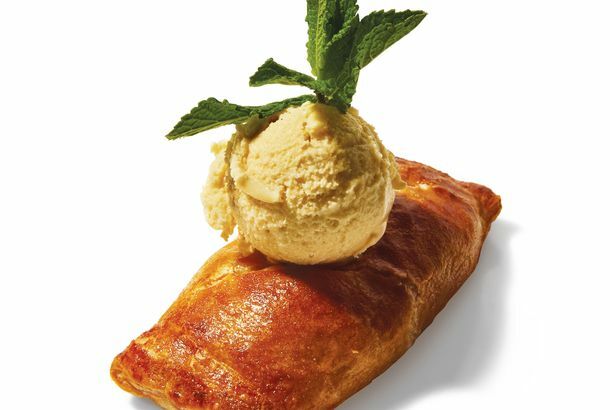 Mister Paradise’s Apple-Pie Hot Pocket Is No JokeIt was partly inspired by another nostalgia-inducing fast-food archetype, the deep-fried classic chez Mickey D.
This New BjornQorn Popcorn Will Bedazzle the Snack Snobs at Your Oscar PartyCult brand BjornQorn’s new meteorologically inspired flavor, Cloudy Qorn, is smaller, crisper, and roastier than the original. 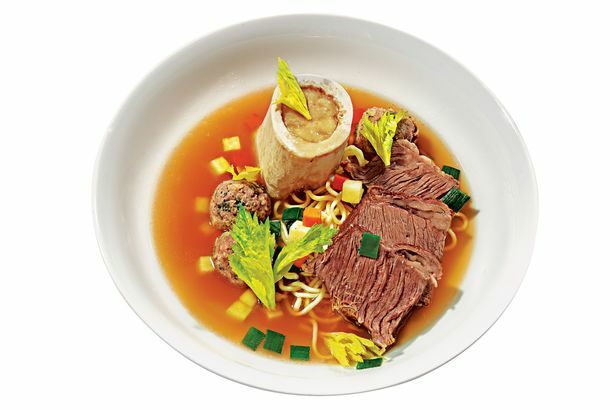 Augustine’s Viennese Wedding Soup Is Like a Middle-European RamenAustrian comfort food par excellence. 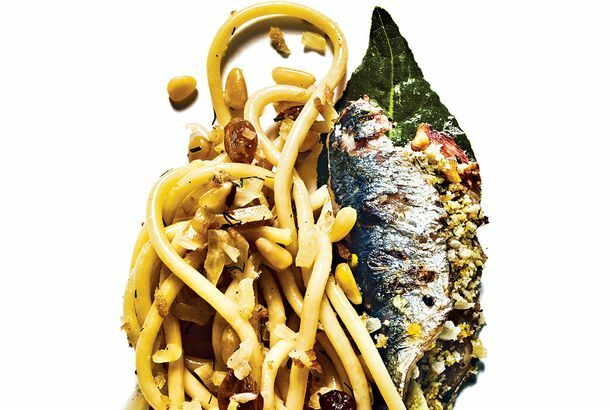 Introducing the Calabrian Dish That Should Be On Every Pastavore’s Bucket ListThe cucina povera lip-smacker comes with anchovy, garlic, chiles, bread crumbs, and a not-so-appetizing backstory. 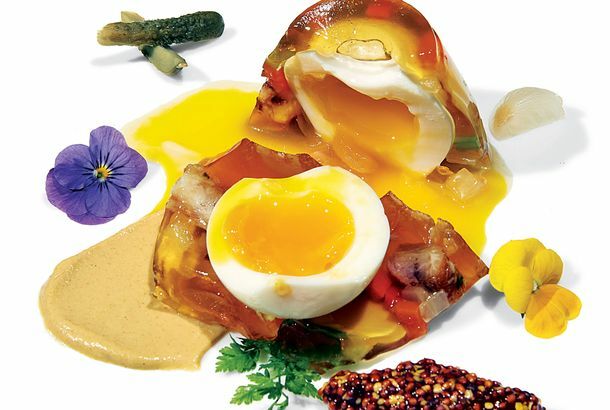 Bistro Pierre Lapin Wants to Change Your Mind About Aspic“Dishes like eggs in aspic don’t get the respect they deserve,” says Harold Moore, whose oeuf en gelée is made with pork hocks. 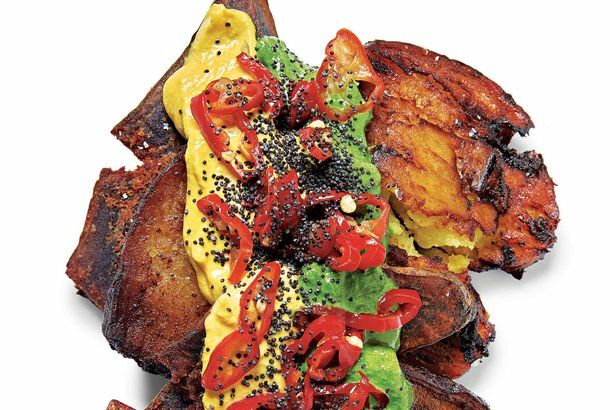 How Narcissa Makes a Sweet Potato Taste Like BaconMurasaki and Okinawan sweet potatoes are boiled, smoked, smashed, and deep-fried, then draped in two Peruvian-inspired sauces and pickled peppers. 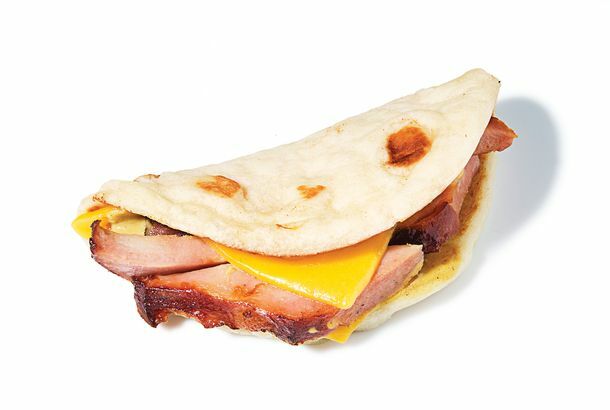 A Closer Look at David Chang’s Mortadella Breakfast Sandwich at Bāng Bar“This is the weirdest project we’ve ever done,” he says. 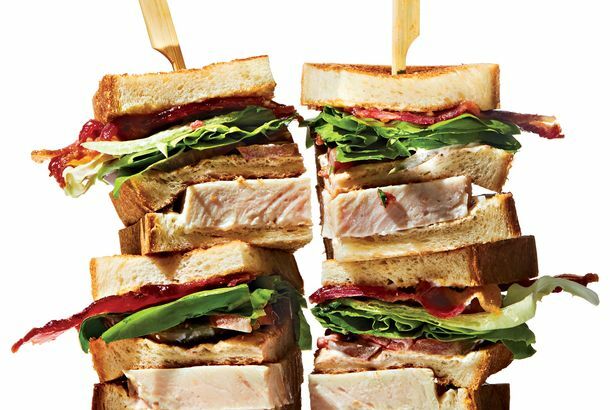 The Structural Ingenuity of Existing Conditions’ Turkey ClubJapanese milk bread and meat glue help to curb the sandwich’s inherent messiness. 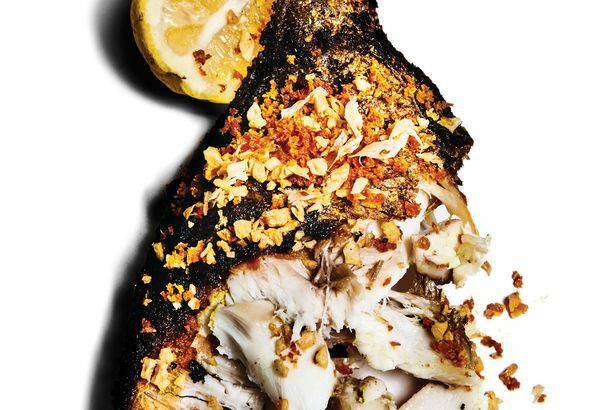 Momofuku Nishi’s Whole Salt-Baked Turbot Is Bo Ssäm for Fish LoversThe textures of the turbot vary from firm and meaty to an almost pork-belly-like richness around the fins. Santina’s Featherweight Eggplant Parm Is a Late-Summer DelightMade with eggplant at the peak of its season, barely cooked San Marzano tomatoes, and warm burrata. 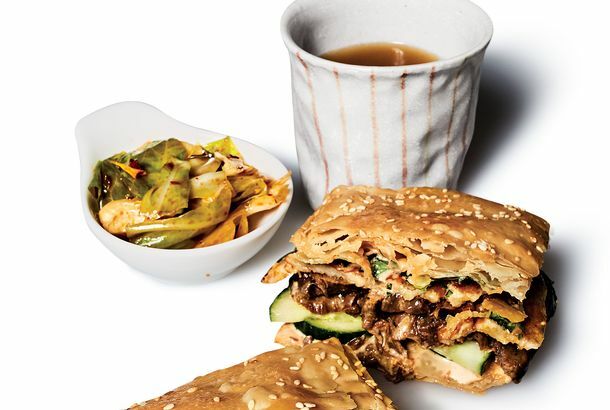 Little Tong’s New Location Is Serving This Terrific Spicy-Gooey-Crunchy SandwichThe JB Melt is a sort of cross between a jianbing and the guokui pancakes chef-owner Simone Tong grew up eating in Chengdu. 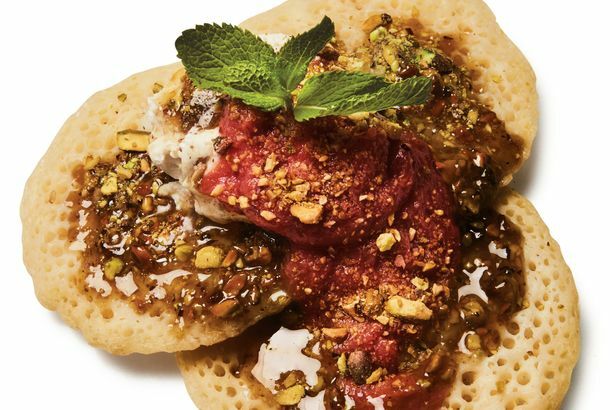 Breakfast at the Newest Smile to Go Includes These Serious Moroccan PancakesMade with yeasted semolina batter and topped with seasonal-fruit compote, housemade ricotta, and pistachio honey, they aren’t your everyday flapjacks. 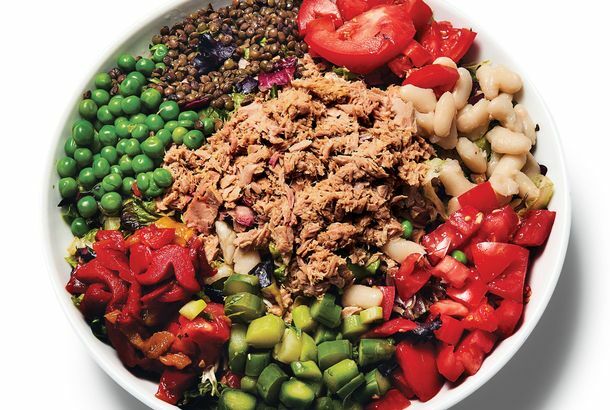 Why Mark’s Madison Avenue Salad Is Still a New York FavoriteFreds at Barneys chef Mark Strausman estimates that he’s slung over a million of them. 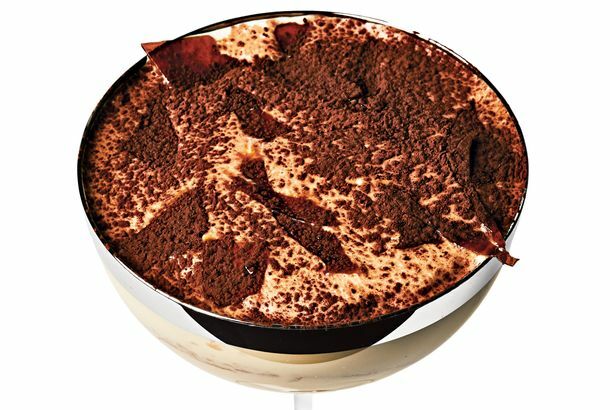 The New Una Pizza Napoletana Serves a Terrific Take on TiramisuThe usual ladyfingers are swapped for lemon sponge cake soaked in espresso, aged rum, and Cynar. Frenchette’s Brouillade With Escargots Is a Seriously Luxurious Plate of EggsEach order requires nearly 15 minutes of vigorous, nonstop stirring, creating a curd so soft and silky it resembles polenta. 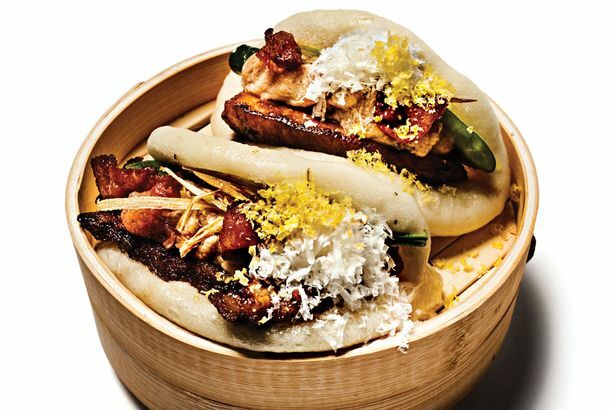 Momofuku Ko Bar Proves Cold Fried Chicken Can Be Just As Good As HotAt Dave Chang’s new à la carte annex to Momofuku Ko proper, it’s served by the piece and straight from the fridge. 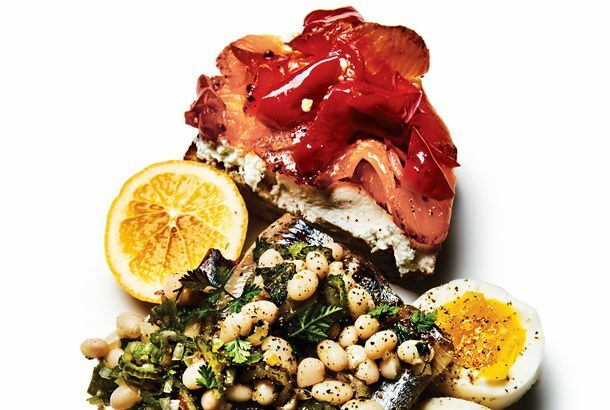 Cervo’s New Brunch Menu Features a Standout Fisherman’s BreakfastConsider it an Iberian-accented take on New York Jewish appetizing. New York’s Best Tearoom Has a New Taiwanese-Inspired MenuTé Company is now serving spicy peanuts, preserved kumquats, and this hearty bowl of lu rou fan, the rustic pork-sauce-over-rice dish. 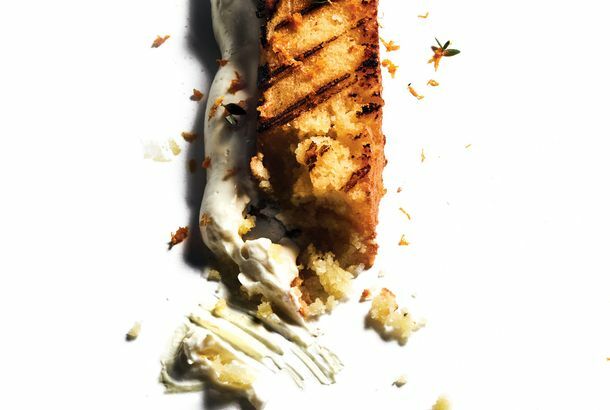 At Tetsu, Even the Dessert Gets GrilledPastry chef Matthew O’Haver created this charred yuzu-scented olive-oil cake for Masa Takayama’s robata restaurant. 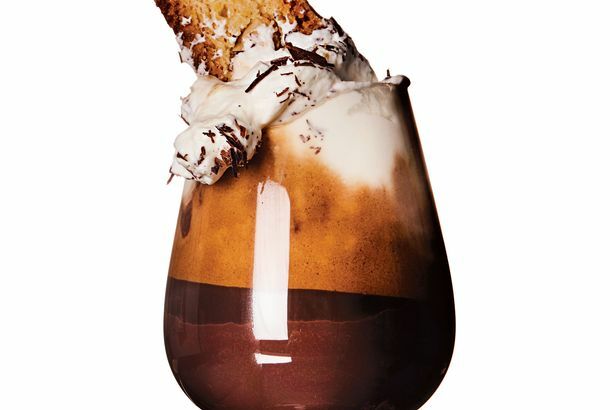 King’s Fantastic Chocolate–Espresso Hybrid Is the Antidote for Winter DoldrumsIt’s called bicerin, and if there’s another booze-free elixir more capable of shaking off a case of the winter blues, we don’t know about it. 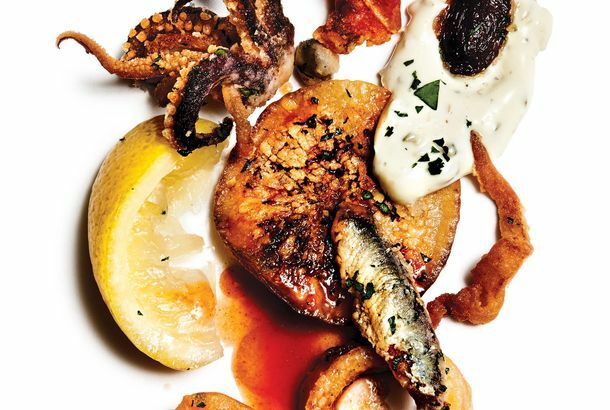 Casino Clam Bar Is Serving a Divine Fritto MistoChef Jeremiah Del Sol’s version of the Italian classic includes well-placed curveballs like house-pickled cucumbers, bell peppers, and Cubanelles. 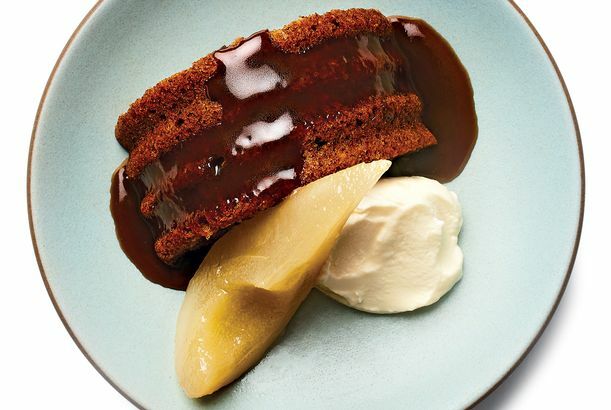 Celestine’s Braised Rabbit Kugel Is a Refined Take on a Jewish ClassicChef Garett McMahan sees it as a pasta-course vehicle for some of his favorite ingredients, like rabbit, prunes, and the Yemeni spice mix hawaij. The Trick to Ugly Baby’s Addictive Deep-Fried Sea BreamIt’s suffused with spicy flavor if not spicy hot, yet has that certain compulsively edible quality about it that great Thai dishes have. At Raviolo, Classic Italian Dishes Are Served Like Dim SumThese steamed buns are the only version of spaghetti alla carbonara you should eat with your hands. Empellón’s Fruit Plate Takes a Safe Dessert Choice to a Whole New LevelThe seasonally rotating showstopper, currently made with Tristar strawberries, mimics a crushed-ice shellfish platter. 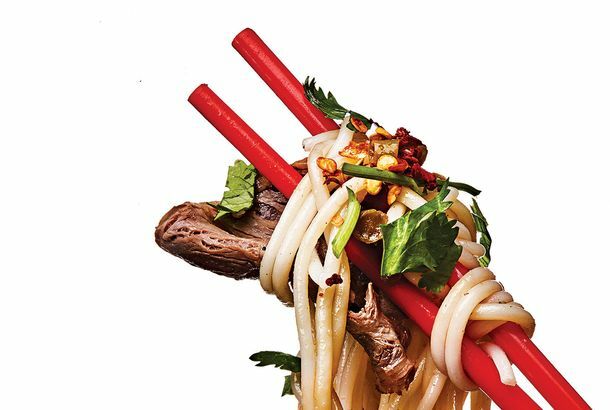 This East Village Rice Noodle Shop Has Your New Hangover CureYuan’s Guilin mi fen is satisfying and sharp, with 15 spices. The exact blend is secret — “like Coke,” says owner Jacob Ding. Public Kitchen’s Popcorn-Cheddar Frico Is a Genius Bit of Fusion Snack FoodFried cheese embedded with popcorn, a pairing that conjures deconstructed Smartfood and reflects American culinary ingenuity. Is Hemp the Next Kale?At Norman, the young lettuces salad features the highly unusual green. Could Sunchokes Be Your Next Vegetable Obsession?Hemlock’s roasted and raw preparation with kumquat curd could do for sunchokes what David Chang’s fish-sauce vinaigrette did for Brussels sprouts. Daily Provisions Will Be Serving This Custom-Churned Rye Ice Cream This SummerThe salted-caraway-rye-with-strawberry-cheesecake ice cream is one of three flavors that the café will start scooping May 19. 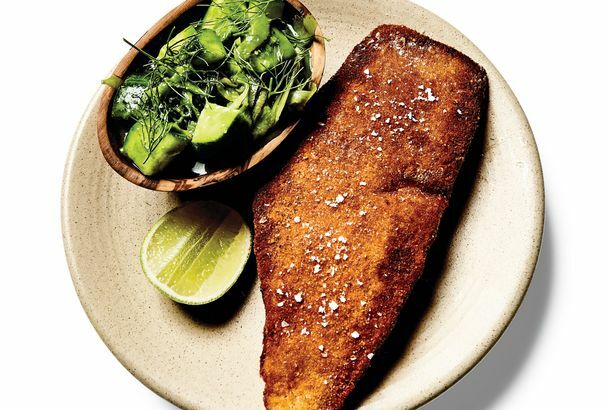 Atla’s Fish Milanese Is a Sleeper SensationIt’s deceptively simple, yet transcendent — a neighborhood-restaurant dish in spirit, but one wholly worth leaving your neighborhood for. 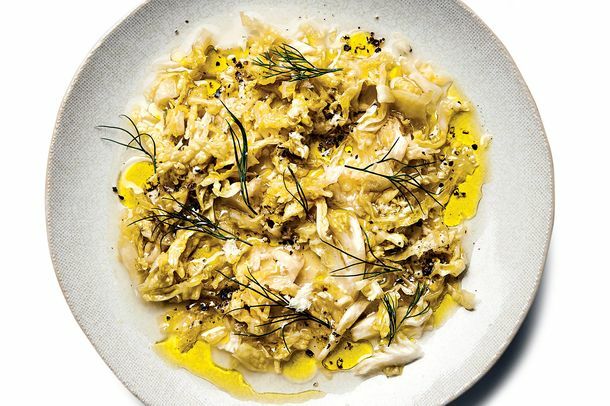 The Arrival of Fresh Sauerkraut at abcV Is GroundbreakingFrom Sabrett hot-dog cart to star chef Jean-Georges Vongerichten’s menu, the abcV recipe replaces round white cabbage with its frilly Savoy cousin. 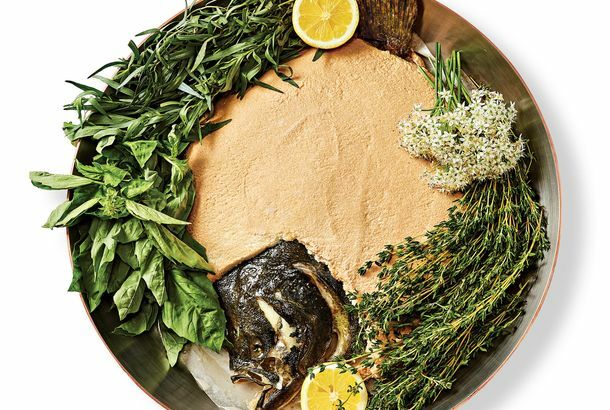 Hundred Acres’ New Middle-Eastern Menu Will Be Previewed This WeekendThis spring, chef Ayesha Nurdjaja completes the restaurant’s Levantine transformation with a new focus on kebabs and shareable spreads. 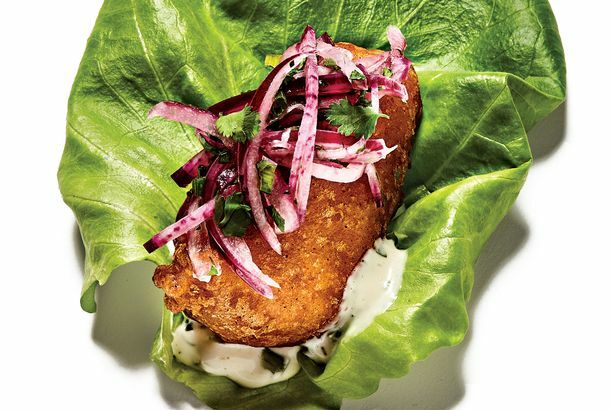 Untitled’s Lettuce Wrap Is a Fish Taco So Good It Doesn’t Need a TortillaIt’s chef de cuisine Suzanne Cupps’s favorite item on the menu. 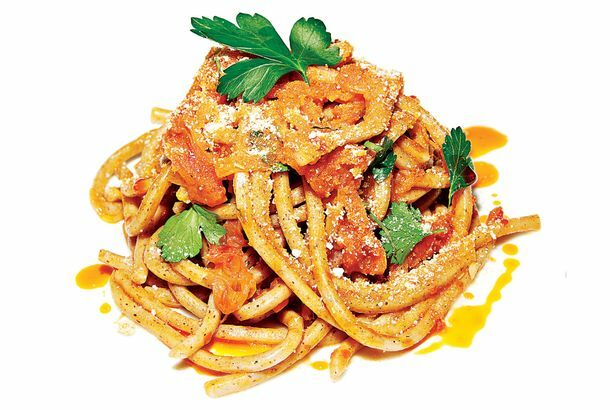 Lalo’s Kasha Varnishkes Are a California-Inspired Take on a Jewish FavoriteGerardo Gonzalez’s rendition of the buckwheat groats and bow-tie pasta dish takes inspiration from his mom’s parsley-and-mushroom salad. Llama Inn’s Rabbit Potpie Is a Triumph of Fusion Comfort FoodAn ají de gallina–style stew of rabbit-leg meat, turnips, Swiss chard, rutabaga, and toasted walnuts topped with a crisp pastry lid. Acclaimed Pastry Chef Karen DeMasco is Back to Baking at HearthThe master of homespun cakes and cookies is milling her own flour and banishing white sugar. Great Northern Food Hall’s Øllebrød Might Be the Fanciest Porridge EverA traditional Danish specialty dressed up for New York diners with frothy milk foam, sea buckthorn berries, and tarragon sugar. At Ancolie, Opening Friday in Greenwich Village, Everything Comes in a JarEven the Rainbow Salad. Prune Introduces Turkish Flaming ‘Disco’ Pistachios“We joke that when we vacuum, it’s all beer caps and pistachio shells now,” says chef Gabrielle Hamilton. Rebelle Will Soon Be Offering a Spumoni-Inspired Croissant From Sadelle’s BakerMelissa Weller is bringing a weekend-brunch pastry program to the Nolita restaurant. At Paowalla, Floyd Cardoz Is Reviving One of His Most-Beloved DishesEggs Kejriwal is a souped-up cheese toast served at his Mumbai restaurant, the Bombay Canteen. 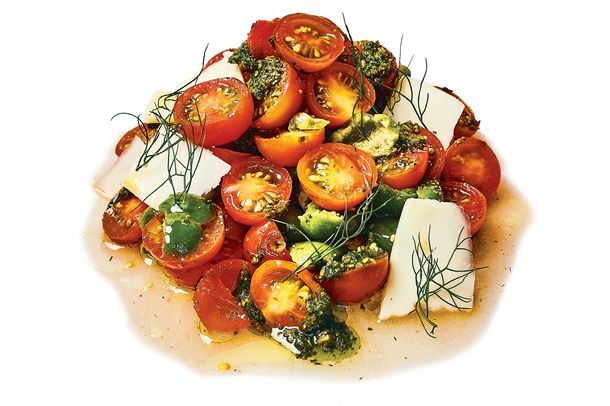 Vic’s Sun Gold–Tomato Salad Is the Ultimate Summer Greenmarket DishLycopene addicts will want to devour it through August and well into the fall.